in South India. Famous for its historical Bekal Fort, affluent natural beauty, pristine coastline fringed magnificently by palm, exquisite estuaries and fantastic backwaters, Bekal is the next big tourist spot of Kerala tourism. It is well known destination visited for its historical and natural beauty by tens of thousands of tourists from across the corner of the globe. The place is fast becoming a major tourist spot as tourists not only get to soak in the historical appeal of the fort and natural exquisiteness but also get wonderful opportunity to explore interesting places while on a tour. Some of the major Bekal tourist places are highlighted as below. Spread over 40 acres, Bekal is the best preserved and the largest fort in the state Kerala, situated in Kasargod district in North Kerala. The fort appears to rise from the sea as its almost three fourth of its exterior are soaked in the sea water and the waves strikes the citadel continuously. The grandeur fort rising above 130 feet from the sea level has a long glorious history of 300 years and so looking at its importance the fort is today cared by the Archaeological Survey of India. The pristine white sand beach spread over 35 acres is a fantastic beach destination fringed magnificently by the swaying palm and coconut trees. The beach is beautified for tourists by installing two sculpture of Theyyam, rock garden and parking area has been developed where laterite boulders of various sizes are utilized. The coastline is also illuminated so that tourists can still spend time even after the sun bids good bye to the region. the beach is truly a perfect place to visit for a fun beach tour and holidays. The children park near to the beach is also a major attraction. 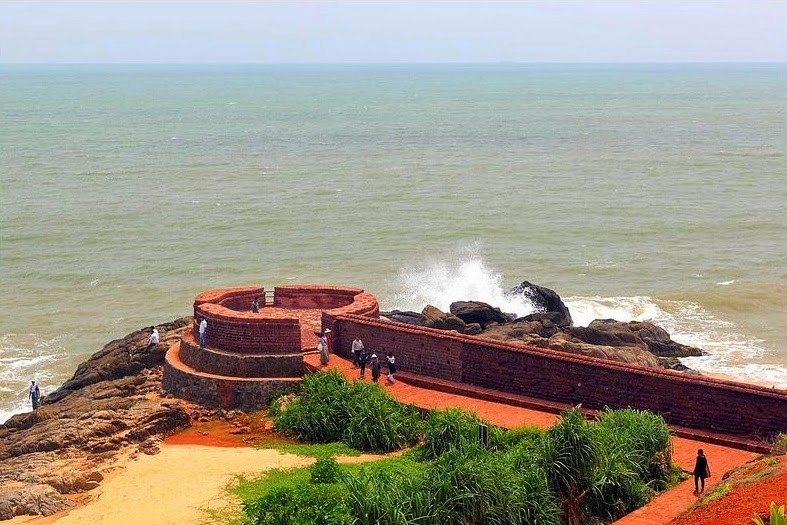 It is another picturesque beach located at walking distance from the Bekal Fort. the shallow white and red sand coastline dotted by the emerald green coconut and palm trees beautify the beach, making it an ideal spot to enjoy leisure time and beach activities. It is also a popular picnic spot. The most emerging and affluent backwater region in Kerala, Veliyaparamba with its inviting natural surrounding and exquisite tranquility is fast growing as a picturesque backwater destination. The scenic natural landscape and the tiny islands can be delightfully explored with houseboat cruise, which makes the visit special and a retreat for an ideal vacation. These are some of the important Bekal beach tourism attractions, which entertain visitors and allow them to enjoy memorable and exciting holidays in this peaceful little hamlet town of Kerala, India.